As a planner of a forthcoming event for your company, you will be preoccupied with thoughts of how to prepare for it. As you ponder your problem you envisage a change from decorating the event with flowers and opting to use green foliage as fillers along with colorful flowers. That’s awesome and we can help you achieve your goal. Our locally supplied Leather Leaf greens are the ideal decoration you need for your event. They are ideal for decorating weddings, official dinners and large parties. 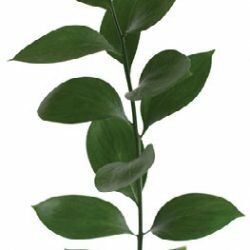 They are highly suitable as fillers for centerpieces or as appendages suspended from above for your guests to enjoy a truly ‘green’ environment.